A responsibility is an organizational object in which you group criteria together that are required by the workflow at runtime to assign work items to possible agents. This type of criteria definition does not require Customizing settings or ABAP coding. Before defining roles, you must define workflow steps using the procedure described in SAP Business Workflow [Ext.]. You then define the tasks that must be executed. Finally, you use roles to assign and find a list of possible agents for the task at runtime. Responsibilities can only be created for existing standard roles. A container is a generic structure that transfers data at runtime. You must create the container definition first because the responsibility depends on the data that you select in the container. You must define a container element for each criterion that yo select for the evaluation at runtime. Create a responsibility , and define criteria (individual values or value ranges) in the responsibility editor for the container elements. At this point, you can also process the values and display the container elements. If the values in the role container are compatible at runtime with the criteria defined for a responsibility, the organizational objects assigned to this responsibility are identified as possible agents for the work item. If the values in the role container are compatible with the criteria defined for the responsibilities, SAP Business Workflow identifies the possible agents for a work item. As a result, the right person receives the right work item at the right time. This ensures that business processes at your enterprise run efficiently and on schedule. A container definition informs the system about the data type processed by the workflow. You must decide whether you want to create a container definition that references table fields or object types. When the container definition references object types, you use values in the key fields of objects to restrict the list of possible agents. When the container definition references Data Dictionary fields, you can use specific data such as the amount of an order or the customer name on an invoice to restrict the list of possible agents. To call the transaction for processing roles, access the SAP menu and choose Tools _ BusinessWorkflow _ Development _ Definition tools _ Standard roles _ Create. The Maintain Standard Role screen appears. TheStandard Role: Create screen appears. Enter a name for your standard role in the Basic Data box. Select the role type Responsibilities. Choose Container Definition.in the Role Definition box. The Standard Role: Process Container screen appears. The Create Element dialog box appears. If you want to use Data Dictionary fields, choose Yes. The Create with Data Dictionary Field Defaults dialog box appears. Specify the table from which you want to select fields and Choose Continue. Select the fields that you want to appear in the container definition and confirm your entries by choosing Continue. The system prompts you to create the texts for the container elements in the Create dialog box. On the Standard Role: Process Container screen, double-click the container element. The Element <.....> dialog box appears. If you select the required indicator, an error will occur in the workflow if no binding has been defined for the element. If you select the multiple lines indicator, you can specify multiple values for one container element. You can select both indicators. Choose Continue. Choose Back. The Standard Role: Create screen appears. If you want to use object types, choose No. The Standard Role: Process Container screen appears. Enter a name for the element. If you select the required indicator, an error will occur in the workflow if no binding has been defined for the element. If you select the multiple linesindicator, you can specify multiple values for one container element. You can select both indicators.. Select the object type you want to reference, and choose Continue. The Standard Role: Process Container screen appears. You have created a container definition with either Data Dictionary fields or object types as elements. You use these elements to define the criteria for role resolution. Before you create responsibilities, you must Create a Container Definition. The values in the role container must either agree with the criteria defined for the responsibility or be in their area. The reason for this is that role resolution compares the two values in order to return a list of possible agents. If you have created a container definition, the Responsibilities button appears on the AddStandard Role screen in the Role definition group box. 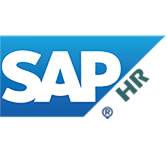 If you are no longer on the Standard Role Definition screen, then in the SAP Standard Menu, choose Tools _ Business Workflow _ Development _ Definition Tools _ Standard Roles _ Change and enter the required role. Choose Change. Choose Responsibilities from the Role definition group box. The Responsibilities: Change screen appears. Select the superior object (the role you are creating) and choose Create. The Create Responsibility screen appears. Enter the name and the validity period of the responsibility and confirm your entries. The Change responsibilities for standard role screen appears. This is the responsibility editor. Define values (either single values or value areas) and choose Save. If you do not want to check all criteria for a particular responsibility, leave this line blank. The LED display turns yellow, to make you aware that some of the criteria of the standard role will not be checked for this responsibility. You have created a responsibility with container elements. You must first create a container definitionand then create a responsibility , in which you define criteria for the container values. You then assign an agent to each responsibility. If you are no longer on the Standard Role Definition screen, then in the SAP Standard Menu, choose Tools _ Business Workflow _ Development _ Definition Tools _ Standard Roles _ Change and enter the required role. Choose Change and on the Standard Role: Change screen, choose Goto _ Responsibilities. Select the responsibility you want to assign to an agent and choose Edit _ Agent assignment _ Create. The Selection dialog box appears. Select the organizational object type you want to assign as an agent and choose Continue. The system asks you to enter a search term and to create the relationship between the responsibility and the selected object. Confirm your entries. In the Overall View, you can also specify a validity period for the relationship. At runtime, the workflow evaluates the possible agents and ensures that the right tasks are routed to the right agents at the right time.